For those that prefer to Hard Wire the Coolit Fan Controller in, we have developed latest version of the Coolit, the Coolit H2/H3. It operates just like the original Wireless Coolit V series, but instead of using a FOB to activate the fan it uses a switch and LED light. 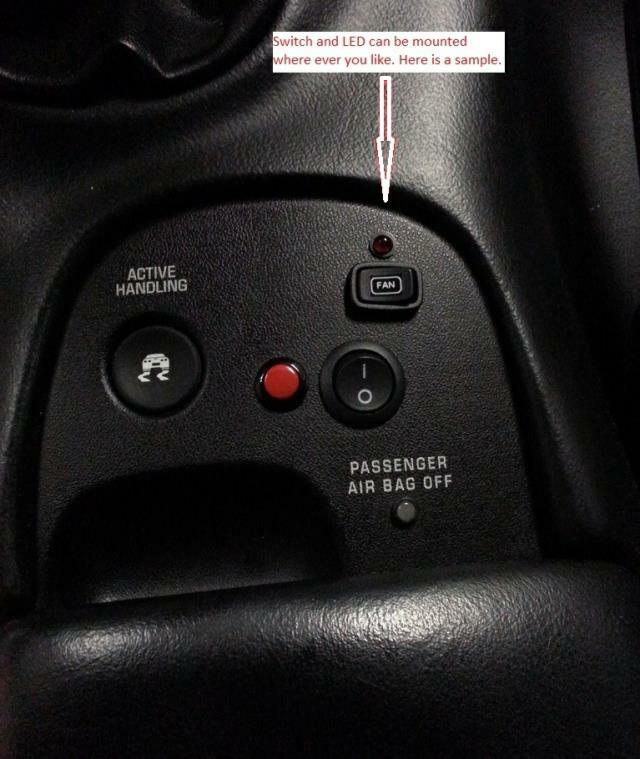 The Coolit H2/H3 allows you to control your C5 Corvette's radiator high speed cooling fan with a simple push of a button allowing you to control your radiator coolant temperatures. No need to pay for an expensive tune to just to change your fans on/off temperatures. When switched ON, the LED lights up showing you that your Fan is running. We have spent a lot of time developing the Coolit H2/H3 to be as plug and play as possible. 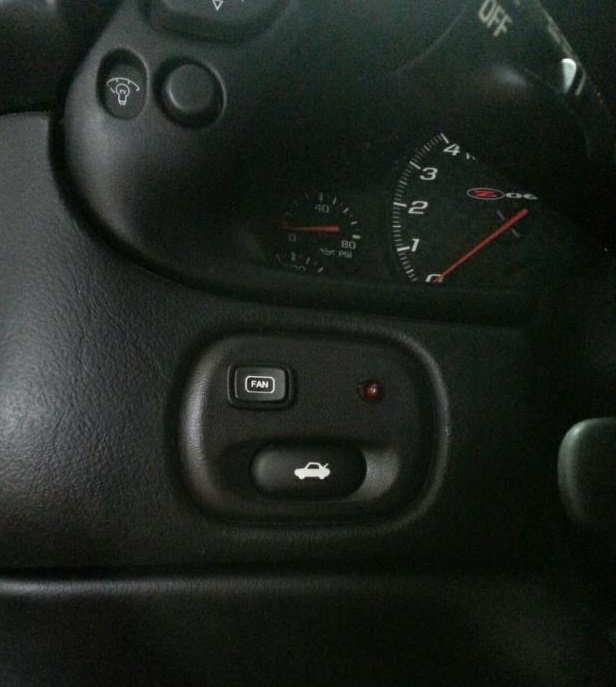 After you install your Coolit H2/H3, you will be able to turn the right side cooling fan on in high speed fan mode using the switch you installed making it perfect for when you are at the track and you want to cool down between runs, keep cool in traffic, and idling in parades. No need to turn on your A/C anymore to cool your engine! It will even help keep your Automatic Transmission running cooler too! The Cool It H2 and H3 WILL NOT interfere with the normal computer controlled operation of your cooling fans! The CoolIt H2/H3 uses the cars factory wiring to run the high speed fan. Our Coolit uses the highest quality parts including a factory relay not an aftermarket or copy. All connections are soldered, and or hydraulically crimped, for high quality reliability. Installing the CoolIt H2/H3 will immediately take your C5 Corvette to the next level of performance and reliability. 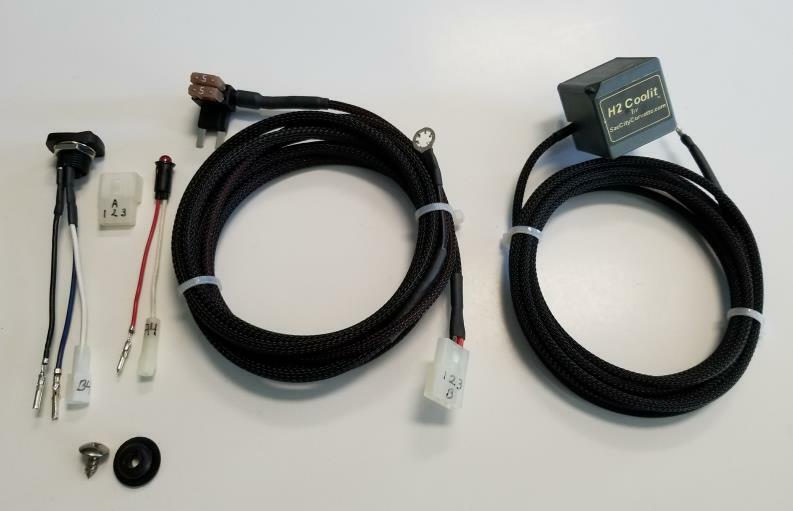 If you take your Corvette to the track and are serious about getting the best performance possible, whether hot lapping, just cooling down in the pits or in traffic, the Cool It H2/H3 High Speed Fan Controller is an inexpensive must have accessory because cooler is better!